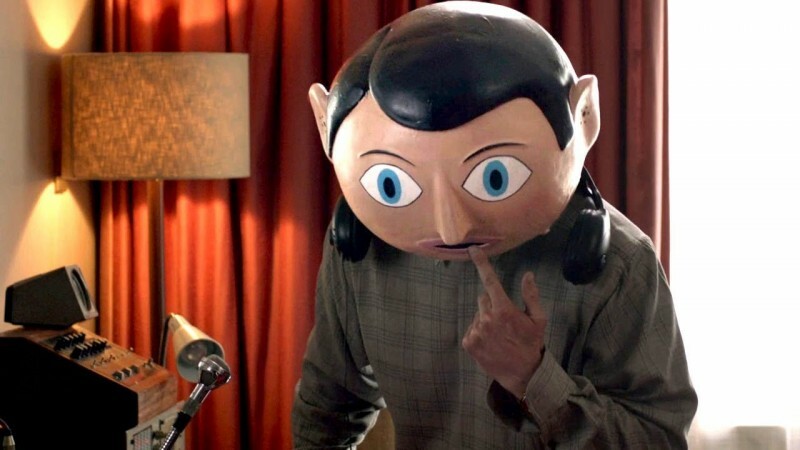 "Funny, Charismatic and Deep, 'Frank' Delivers the Goods"
A quirky and funny indie delight, Frank is as bizarre and charming as its title character. 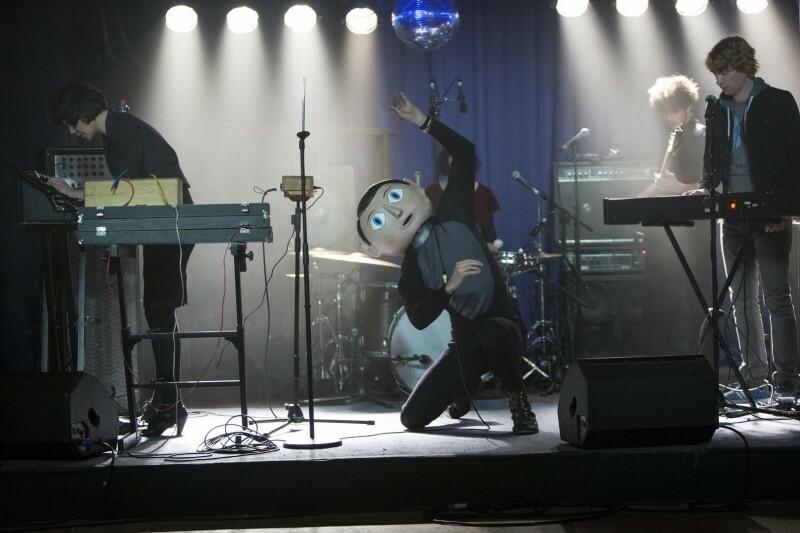 Frank stars the talented Domhnall Gleeson as the completely inept, musical wannabe, Jon Burroughs. Sticking solemnly to his day job – and using Twitter as his only form of social interaction – Jon happens upon a bizarre scene at the beach. After discovering the unruly mob on the beach is a band, he is invited to fill in for the (in the midst of being hospitalized) keyboardist. Arriving at his first show, he meets Don (Scoot McNairy) backstage, and is immediately told to perform. The display fails miserably, and Jon returns to his day job. Days pass, and he receives a phone call from Don asking him to join the band for another gig. When the appearance turns out to be an extended and secluded recording session in the woods, Jon decides it is time to take hold of his dreams. Meticulously chronicling his journey with the band via social media, he eventually gains an impressive following. The documentation of Frank's unique approach to music sparks the interests of SXSW producers, and the group is offered a coveted slot at the Austin, Texas festival. Frank is the fourth feature film from director Leonard Abrahamson, whose experience shows in his confident telling this uniquely bizarre tale of mixing fame with talent. Highlighting the chaos with shots of beautifully-framed landscape or brief quietude: the audience never expects what might happen next. All of Jon's interactions on social media are represented visually, and each time an ever-growing follower count accompanies the text. With narration provided by Gleeson, the online journal of the band's evolution is given context, and what are otherwise a series of vignettes become a cohesive story. Equally as dark as it is funny, Frank has perverse elements of mental illness, identity issues (obviously) and depression. Frank is the nucleus of the band, and accepts each member with open arms and an open heart. He demands perfection of their music, but never perfection of their being. Garnering a mix of pity, admiration and fascination, Frank is a beautiful representation of purity. The representation of purity extends to the purity of the art Frank is creating. Never a complete picture until the very end (and some contemplation from the viewer), Frank is a story about when doing something you love becomes art, and when that art becomes tainted by image. Partly a tale of Jon's coming of age and discovering his true abilities, Frank explores the full life cycle of any artistic endeavor. From conception, to production and gathering a following, the film explores how art is treated in modern society, and how talent can become tainted by fame. The larger the band's fan base becomes, the less the music matters to the members, and the less meaningful their message becomes. With dialogue that flows like improv sessions between actors, Frank's script is every bit as eclectic as the characters themselves. Outlandish interjections by Frank or any other of the band's mentally ill members add a touch of spontaneity to their interactions. Fassbender's Frank is every bit as charming to his audience as he is to the inhabitants of the film's world. Something must be said about hiring an internationally famous actor and not showing his face. Although we know what he looks like under the mask, his sweet innocence and unusual musicality transform him into something else entirely. Relying on quips and body language alone, Fassbender mystifyingly transforms himself into the character of Frank, and brings his own charisma to the character. Gleeson is himself a relatively seasoned actor, and brings a confidence to Jon that is refreshing in the “shy kid must find their voice” role. Being a lover of music all of his life, but possessing little musical talent himself, he is able to identify the massive potential of Frank’s band and wishes desperately to be a part of it. Seeing beyond his own limitations, he tries to push the band outside of their comfort zone to nearly disastrous results. Keeping their audience's attention with sheer craziness, the rest of the cast is able to perfectly accent Fassbender's charm and Gleeson's overconfidence. Some dark and quiet, others boisterous and wild (Gyllenhaal), they complete the emotional circle for the band. 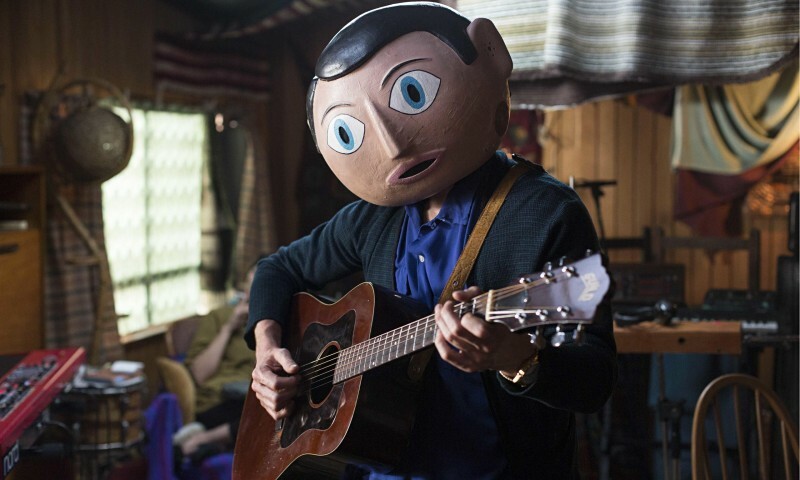 Dark and fascinating, Frank delivers on the lofty promises made in trailers, and gives its audience a wholly refreshing film that is unlike any other.